Europlanet 2020 (RI) and the Molėtai Astronomical Observatory (ITPA VU) are pleased to announce the international research summer school „Space missions: ground-based observations and science communication“. The aim of the course is to give participants a thorough, multidisciplinary introduction into space missions and the ground-based observations required by space missions before and after launch, as well as an introduction to science communication. More general subjects about specific space missions (TESS, JWST, PLATO…), planetary systems, habitability of planets, photometric and spectroscopic techniques will be presented. 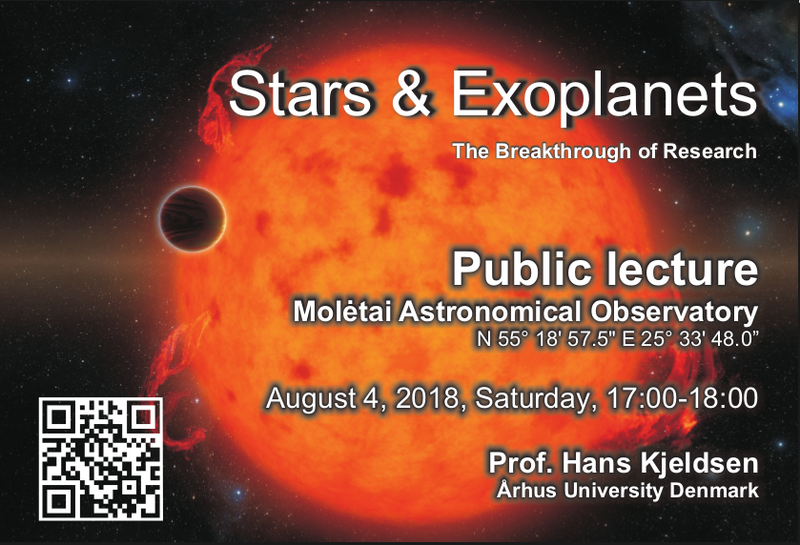 Participants will be given some hands-on experience with analysis of stellar chemical composition, detection of stellar variability and/or exoplanets using the Molėtai Astronomical Observatory telescopes (CCD photometry and high-resolution spectroscopy). In addition, the course will give participants the opportunity to develop comprehensive theoretical and practical skills in science communication and engaging with a range of lay audiences, including the public, media, policy makers, schools and educators. The course is open to PhD and master students, early career scientists, and amateur astronomers.The deadline for application is 10 Apr 2018 23:59:00 UTC. Notifications of acceptance by 1 May 2018 23:59:00 UTC. Eurplanet 2020 (RI) and the Molėtai Astronomical Observatory (ITPA VU) are pleased to announce the international research summer school „Space missions: ground-based observations and science communication“.